Nothing is better than an added reassurance and peace of mind when it comes to safety while you’re out on the water or off the beaten path. 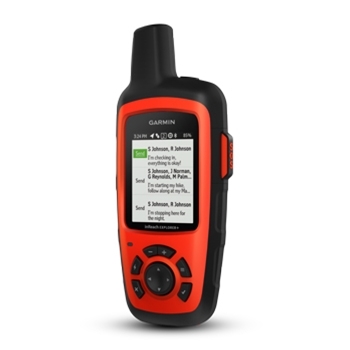 The inReach Explorer+ puts help and communication right in the palm of your hand. 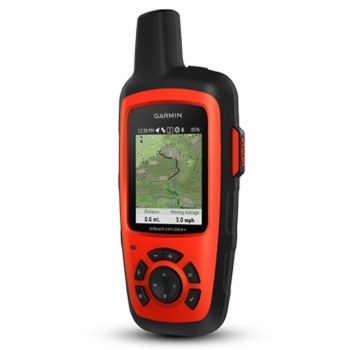 A bright, color display shows the built-in TOPO mapping along along with an internal GPS receiver which will get you from point A to point B easily and accurately. 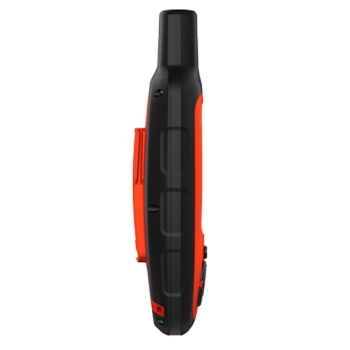 The internal GPS receiver provides location and tracking data within 5 meters, working fluidly with the internal barometric altimeter and electronic compass, always ensuring you as well as others know where you are with ease. This device is packed with many safety features along with high end tracking and routing features at a price that won’t break the bank. Preloaded DeLorme topographic mapping will provide enhanced detail for trail use to display contours, park information, and more. Pair your inReach Explorer+ with a compatible Android or iOS device using the Earthmate app to access NOAA charts, aerial images, TOPO mapping and more. Hunters have the ability to also purchase and download information such as game management and parcel information, simply proving the long list of capabilities that this Explorer+ offers. The compact, water-resistant, rugged design makes this the perfect safety companion for any outdoor adventure. If your trips are just for a weekend, or an extended period of time, the internal, rechargeable lithium battery can last up to 100 hours while in tracking mode and up to 30 days in a power save mode, depending on your settings. An interactive SOS system allows you to send messages specific to your emergency any time anyplace. Send and receive text messages beyond cellular range with family and friends to let them know you are OK, send updates of your adventures, or notify them of an emergency. Being safe and keeping the lines of communication open even while off the grid, is now easier than ever with the inReach Explorer+. There are Month to Month Freedom Plans and Annual Contract plans(discounted rates for contract) available. Plans start at $11.95 per month. There is a one-time activation charge. Designed to Power your Garmin inReach SE+ and Explorer+, this quick-release mount with AMPS pattern includes integrated Cable with USB Connection. Designed to Power your Garmin inReach SE+ and Explorer+, this quick-release mount with AMPS pattern comes with a suction cup for securing your device to your windshield or flat, smooth surface. Includes integrated Cable with USB Connection.